Not leaving the area for Spring Break and looking for something to do? 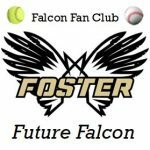 Come support the Foster Baseball and Softball teams during games this week! You can also click here to see all athletic events for the month. Go Falcons!